For most homeowners, their home is an important place of quiet refuge from the outside world so it goes without saying that you want to keep it as safe as possible. You don’t want to worry about intruders breaking into your home and putting your family in harm’s way. A great way to ensure that your home and your family are protected is by installing a quality fence on your property. Not only will it keep you safe but it will add value to your property by adding to the overall aesthetic. 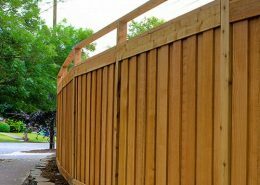 Let’s take a look at some of the most important things you need to consider when choosing a fencing contractor to install your fence. Some homeowners have a very clear image of the fence they want. 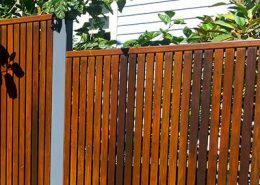 Perhaps you want a beautiful treated pine timber fence or Colorbond® fencing to surround your property? If you have your heart set on a particular fencing style or material, this may dictate which fencing contractor you choose as different contractors often specialise in different materials and/or styles. As with any household renovation or work that needs to be done on your property, the price is going to be a major consideration. Take some time to work out how much you are prepared to pay for materials and installation and then discuss your options with your fencing contractor. They will be able to advise you on what the best options are for your budget. Depending on the size of the job, your fencing contractor is going to need a certain amount of time to complete the work required. It’s important to speak with them to arrange a timeline in which you would like your fence put up and for the work to be fully completed. Professional fencing contractors, like all contractors, work to deadlines so don’t be afraid to ask. The last thing you want is to have to wait weeks or even months feeling unsafe in your home without a fence installed or while wild animals are eating your lawn. Always look for fencing contractors who are licensed and insured. In the rare situation that something might go wrong, you want to be sure that you are working with a professional fencing contractor who is licensed to do the job right and insured in case of injury. A contractor who has gone to the trouble of getting their paperwork in order can generally be considered to be trustworthy, professional and dedicated to their work. As a homeowner, you want to hire a fencing contractor with this kind of reputation and nobody else. When selecting a contractor to install a fence on your property, do your very best to choose someone that you can establish a bond with. If you feel they are constantly trying to upsell or make excuses as to why things can’t or won’t be done, then walk away. Listen to your instincts and choose a fencing contractor who you will be happy to work with going forward.